Our catalog is available for download as a PDF. Wanted an atlatl a long time ago now I can buy one now. 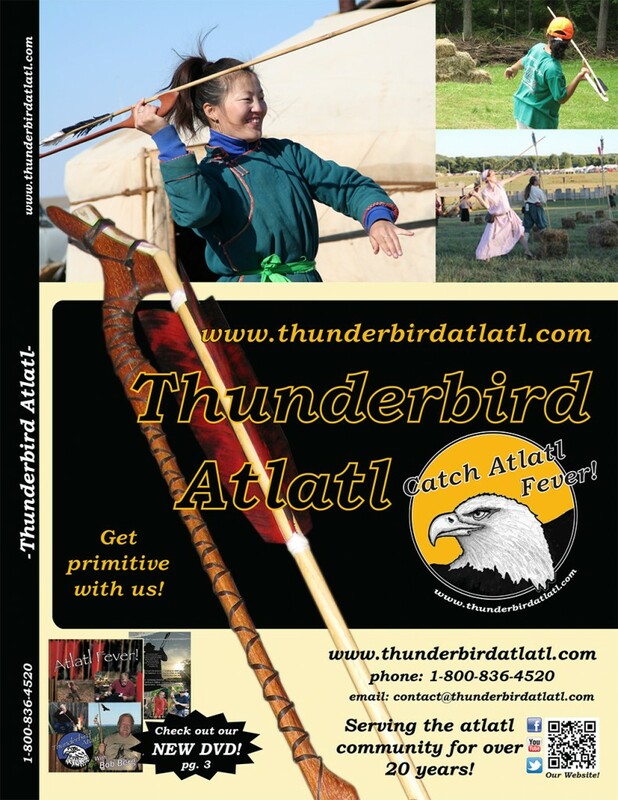 We know you will enjoy the atlatl! Catalog request. Mail to Wayne Herring, 2401-25th Street, Lubbock, Tx 79411. Ph # 806-777-1890. vwwerks@yahoo.com. My brother-in-law just opened an archery shop here and would be interested in having catalog and info on your product line. Archery Shack, 7113-Santa Fe Drive, Lubbock, Tx 79407. Bruce Beal 806412-9003. I never saw a site that made it hard to buy from them but this one does. Thank you. We have not been doing much wholesale but will start working on it more in the coming year if you brother is still interested.